At first glance, investing can seem daunting. So much complex information and so little time to absorb and act on it when you’re busy getting on with life. It’s little wonder that so many of us put it in the too hard basket for longer than is good for our wealth. The good news is that investing doesn’t need to be hard. 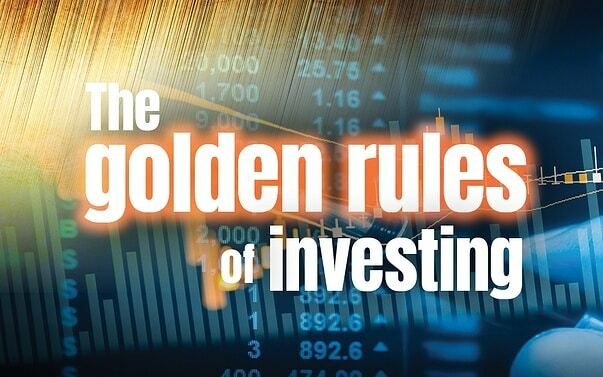 The basic rules of investing are surprisingly simple and timeless. “Before beginning a hunt, it is wise to ask someone what you are looking for before you begin looking for it.” Winnie the Pooh was on the money with this wise observation. If you want to reach your personal and financial objectives, first you must define what they are. Ask yourself where you want to be in 5, 10, 20 years’ time. Perhaps in a new home, kids settled into good schools, with your money working hard for retirement at 60. You may want to start a business or spend a year in Provence with the family. Be specific, put some dollar figures beside each goal and then start planning how you will get there. We can assist you in your goal setting and in mapping out a strategy to achieve your goals. Albert Einstein said compound interest was man’s most powerful discovery, but it doesn’t take a genius to put it into practice. Compound interest means you not only receive interest on the money you invest but interest on your interest. Over time, this simple concept becomes a powerful wealth creation tool. Say you invest $10,000 today at 5 per cent; with all interest reinvested, it will grow to $27,126 in 20 years. Now look what happens if you spend your interest payments, earning what is called simple interest. Your $10,000 will earn $500 a year and will be worth just $20,000 in 20 years. That’s the genius of Australia’s superannuation system which locks away your savings and all investment earnings until you retire. Even if you’re on a modest salary, time allows compound interest to weave its magic. The lesson is not to do nothing. Instead, be patient and stick to your plan. As sayings go, ‘don’t put all your eggs in one basket’ is an oldie but a goodie. Shares, property, bonds and cash all have good years and bad. Even though shares and property provide the best growth in the long-term, prices can fall or move sideways for years at a time and you don’t want to be forced to sell in a downturn because you need the cash. The way to reduce the risk of crystallising losses or losing everything on one dud investment is to diversify across and within asset classes. The right mix will depend on the timing of your goals and your risk tolerance. Think about investments that provide capital growth in the long run and income when you need it – from bank deposits, bonds, share dividends or rental income from investment property. And don’t forget to build a cash buffer for emergencies. Markets tend to rise above true value when investors join the stampede to get in quick for fear of missing out. Prices also tend to fall too far when a wave of panic selling grips the market and everyone tries to sell at once. Following the herd is a risky strategy, but you can profit from keeping an eye on the herd’s behaviour; buying when investors are fearful and selling when they’re greedy. When you take a long-term perspective, and have clear investment goals, it’s easier to sit back and watch market cycles unfold. Then when you see an opportunity to buy quality assets at a low price, or sell an investment that no longer meets your objectives at a high one, you can pounce. As the chart above shows, investors who panicked during the 2007-08 financial crisis and switched out of shares into cash and bonds would have done better to sit tight and ride out the volatility. And investors who took the opportunity to top up their holdings when the market was gripped by pessimism would have done even better. Successful investing doesn’t need to be over-complicated. Give us a call to help map out a plan and let time, diversification, compound interest and our knowledge of the investment landscape do the rest.